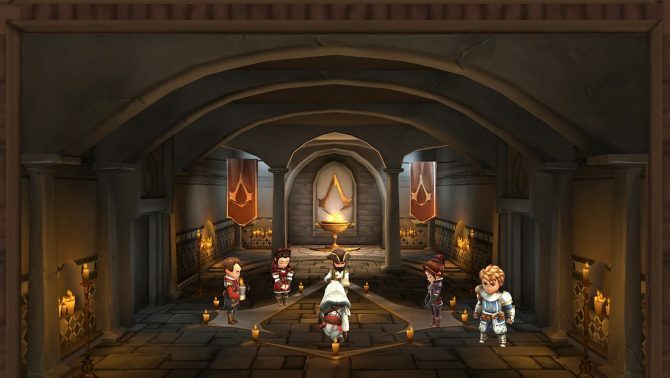 Assassin's Creed: Rebellion takes the classic gaming franchise and gives it a cute makeover in this strategy RPG for mobile devices. 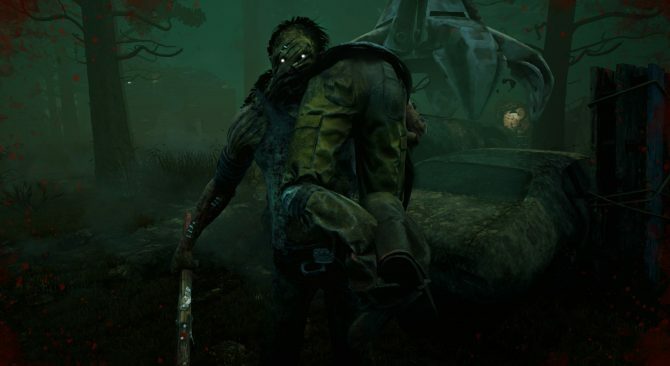 With more than ten years worth of releases under its belt and a bulk of different chapters to choose from focusing on various important periods throughout history, the Assassin’s Creed series has become Ubisoft’s flagship franchise. 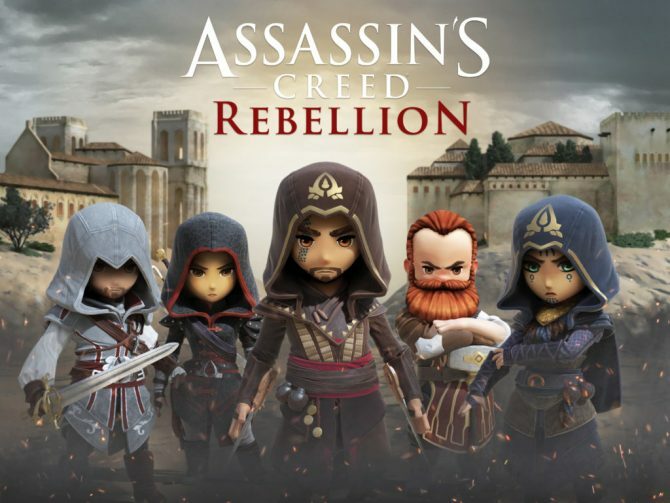 While most entries are serious affairs taking place in sweeping open world environments, the latest title Assassin’s Creed: Rebellion for mobile devices looks set to take the iconic series in an entirely new direction. Assassin’s Creed: Rebellion swaps out the amazing the realistic graphics of the franchise’s core entries for a cuter, more cartoony look. 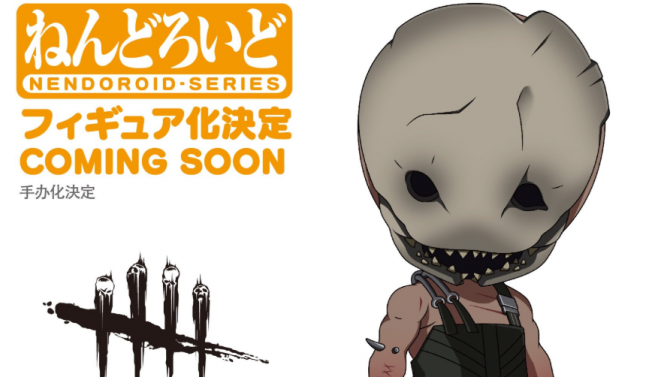 Each character here has an enormous head and a shortened body making them look much less dangerous, but much more endearing. The title features over 40 characters mixing new additions with classic veterans such as Ezio Auditore, Aguilar De Nerha, Shao Jun, and Horacio De Heredia as they battle their way through this adorable strategy RPG. The trailer below gives an outline of what fans of the series can expect from Assassin’s Creed: Rebellion. It depicts characters gathering together to storm a fortress and rescuing a man from its holding cell in order to recruit him. Along the way we see the assassins scaling walls, springing from haystacks to catch guards unawares, and engaging them head-on in sword fights as they traverse through the game’s 2D environments. 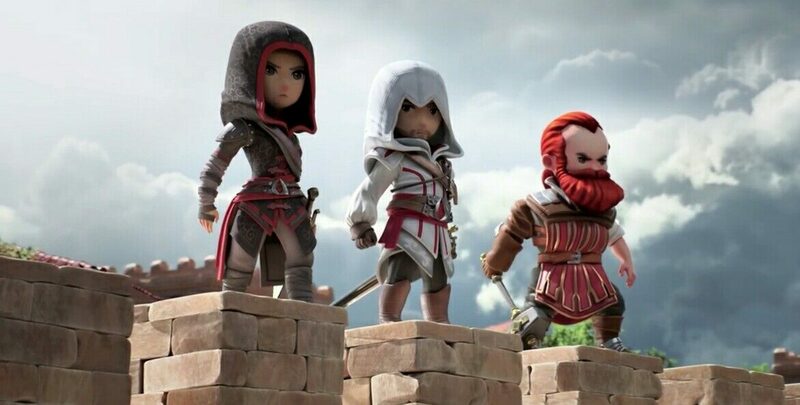 Assassin’s Creed Rebellion is available now on iOS and Android sporting a free-to-play format. Assassin's Creed Rebellion brings the franchise to smartphones with a strategy-RPG on November 21 and includes AC:Odyssey content for pre-registered users.